Need Mechanical keyboard help?? PM me and I'll see what I can do. Why didn't this exist yet!? Yey! Another thread where people can come in and throw a meaningless and completely deprived of interest post like "Sign me in, zomg this guy rocks! ", giving forum users a chance to raise their post count. Wisemen speak when they have something to say. Others speak when they have to say something. Wtf this hasn't been real since today??? Best part of GSL last night was, Leenock's expression right after he beat Alicia and secured Code S. He looked relieved, exhausted, and overwhelmed with happiness all at the same time. Was really excited for him. Hey thanks for the bump and the question of content that this entire forum is used for! Hopefully fans of Leenock, or haters I guess, can come together and talk about recent results and his play. Right now it may seem devoid of content but hopefully with more posts like yours the boll can get rolling! My favourite Zerg in the World since I first saw him play. "We don't take kindly to folks who don't take kindly around here..."
That series vs clyde in gsl 3 was one of the series that really made me fall in love with sc2. Sign me up! sign me up, love this kid! 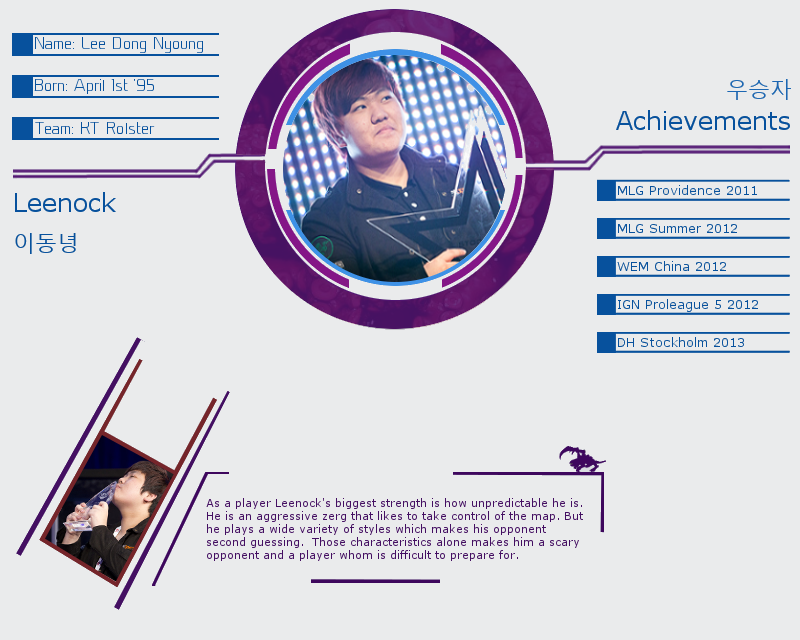 I'm a huge Leenock fan. Sign me up! Wait what, there was no fanclub for this kid yet? !